What is the J.K.ARMY Online Shop ( shop.jkarmy.com ) rewards program? 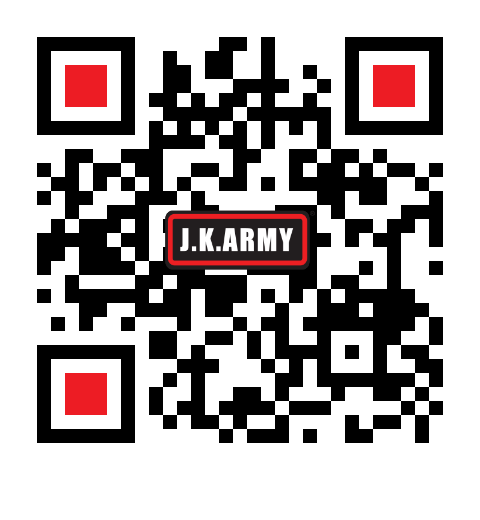 The Reward Points program is our customer reward program, allowing customers to receive reward points for most purchases online from J.K.ARMY Online Shop, points can be redeemed at check-out only on the J.K.ARMY Online Shop website. Recommend use the Full Site Website. First Registered member or Login, then shopping. 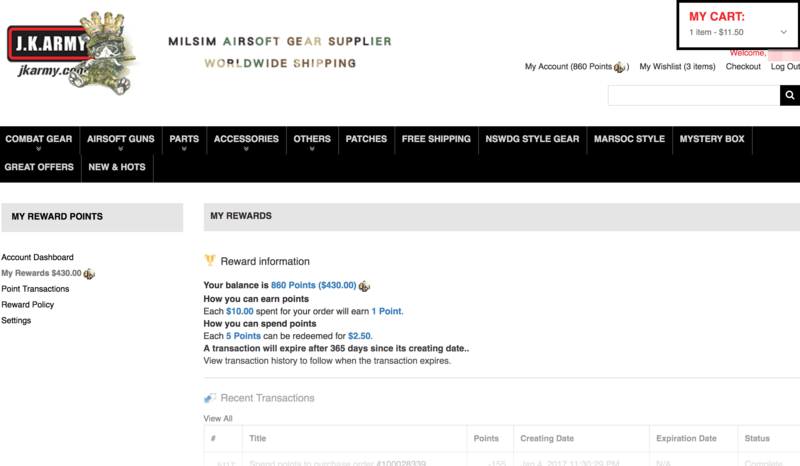 You can check your total Reward points balance at My Account > My Reward Points. Each USD10.00 spent from your order will be 1 Point. Each 5 Points can be redeemed as USD2.50. Point usage has been limited to 95% of your order, which means you will need to pay 5% of your order. 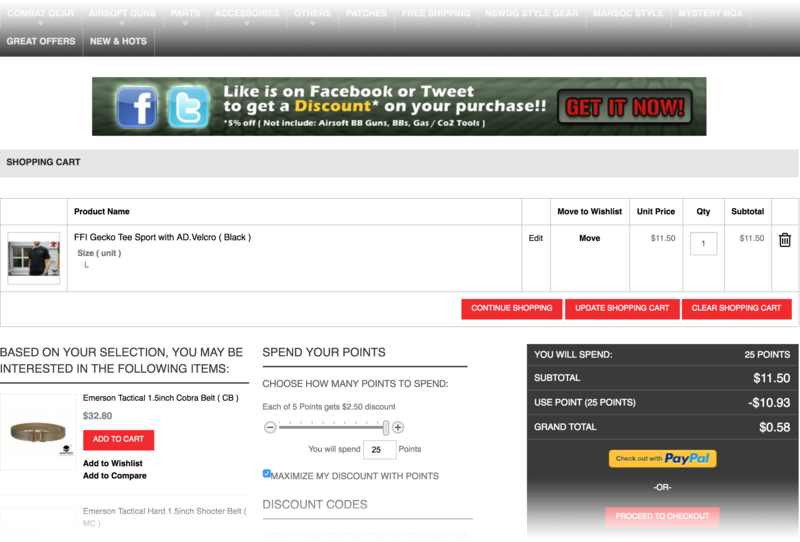 You can redeem the points on the Full Site check-out page. Those are the points you can start using right away. - Exclusively available at jkarmy.com(Full Site/Desktop site), not able to apply at the mobile site. - Points will only be rewarded by online sales, once your order has been shipped. - Any returned products from eligible orders, points will be deducted to the amount of the return.